This EvrFlo standard DC Fuel Transfer pump dispenses Diesel and Kerosene at rates up to 10.5 GPM (40 LPM). The cost effective Pump is ideal for transfer fueling systems. EvrFlo's EV-12M DC standard duty fuel transfer pump dispenses diesel and kerosene at rates up to 15 GPM (57 LPM). 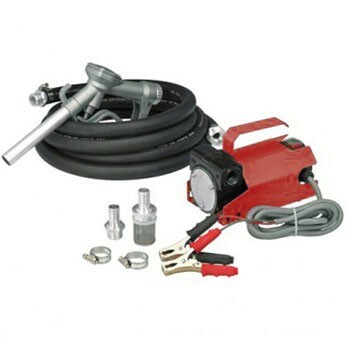 The EvrFlo EV-12M pump is ideal for farm and construction equipment fueling where 120V power is not available. 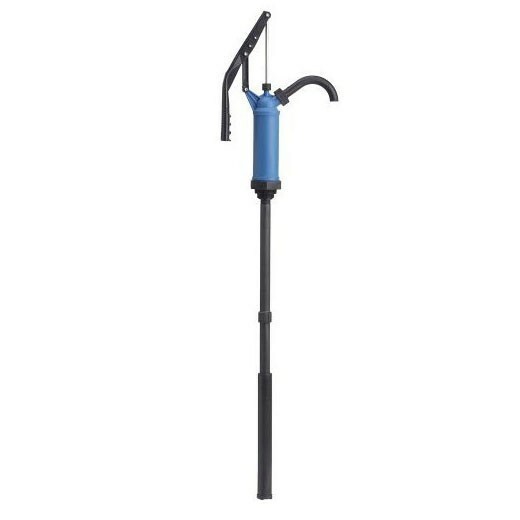 EvrFlo HLP-55160 Plastic Lever Pump delivers fluids at rates up to 9 oz. per stroke. 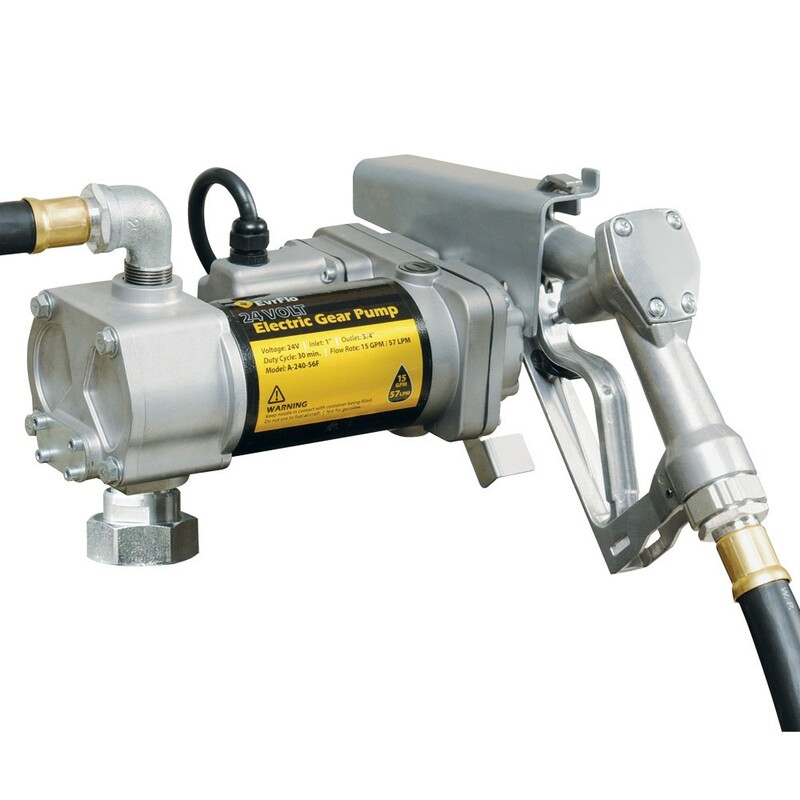 This fuel hand pump is ideal for fuel, water base and acidic solutions. 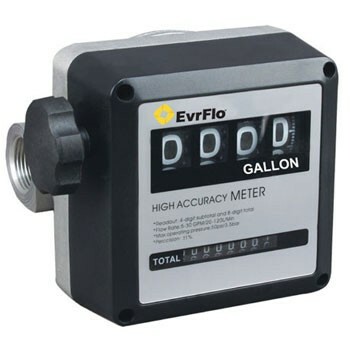 EvrFlo EV-M-5G 4-Wheel, Aluminum Mechanical Fuel Meter is calibrated in gallons with 1 inch NPT threads. It is designed for measuring diesel and kerosene fuel at rates from 5-32 GPM. 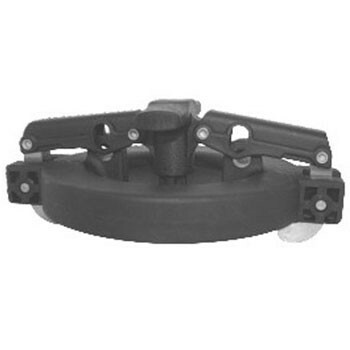 This EvrFlo EV-4-CAP is used to prevent vapors from escaping from the fill riser pipe on the underground storage tank when it is not being filled.